There are many people in the Bujinkan who claim to teach reality based techniques without any real experience. There is however a few people that can do this, and do it very good. And one of the best one I know is my close and good friend Dean Rostohar Shihan from Croatia. With his experience from the civil war in former Yugoslavia, and as a former police officer he certainly knows what he is talking about. Dean goes to Japan to train with Hatsumi Soke and the Shihan several times per year. He always train three trainings per day, to make out most of his time in Japan. Hatsumi Soke always put him up to teach about his experiences. When he was there earlier this month even more so, Soke used him as Uke often to teach the real feeling. Soke also awarded him with the Bufu-ikkan menkyo which he only give to his top students. When Dean doesn’t go to Japan he practice in his own Dojo with over 100 students. 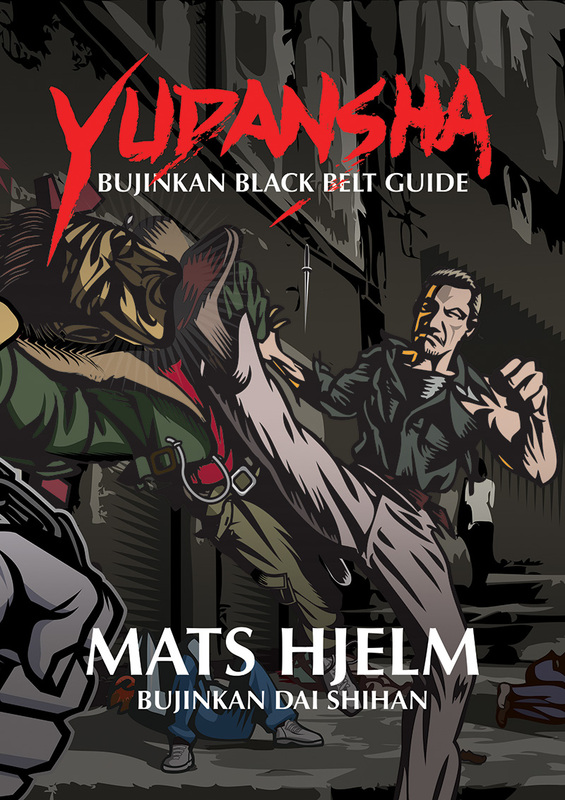 He also attend many courses and seminars and further his studies in many areas with instructors outside the Bujinkan. He also practice shooting and military tactics with SPECWOG, and teach many seminars and courses. In October 29-30’th I’m organizing a seminar with him in Stockholm. I can’t emphasize enough how important a seminar like this is for everyone training in the Bujinkan system. Especially if you want to learn self defense and tactics how to defend yourself against a knife or pistol. Running backwards on a flat floor in the dojo all the time until the opponent overextend himself and fall down is fine, but how reality based is the training, really? Your instructor may say this is reality, and then do something pretty stupid and cover it up with a henka and flow so that you don’t see how stupid the first response really was. OK, sorry! The word “stupid” might be a strong word, I know there is good teachers out there, but far from all. Being “stupid” is also a learning process that we all need to go through, but staying on the stupid level is just stupid ;-). I know there is many seminars all the time, and find the time and money to all is difficult. All I ask of you is to ask yourself what do you want from the training? If you think it is fun as it is in your dojo and you don’t care much about reality then fine, good luck! If you on the other hand think that being able to defend yourself is important, then you should really try to attend this seminar (or any other Seminar with Dean)! I promise it will be very eye opening, and you will see your training with different eyes. Both knife and pistol is very scary weapons, defending against them is very difficult. But it is possible if you also know how to use them as weapons. If you don’t know how to use the weapons properly how can you say that you know how to defend yourself against them. Dean Rostohar together with Noguchi Shihan, Hatsumi Soke and Kan Shihan. This is the feeling Hatsumi Soke teach in Honbu dojo all the time. All instructors take what they want and do what ever they feel like for various reasons. By Hatsumi Soke using Dean in Honbu dojo so much, and constantly ask him to teach and explain in front of him, as well as being his Uke must mean that Hatsumi Soke appreciate what Dean is doing. I think also that Hatsumi Soke is learning from Dean as he watches. So with this I really recommend you to come to this seminar! The web site is in Swedish, but there is translation buttons on top of the web site. If you have problem with the language, you can always contact me, I know the translator is not always 100% correct. Remember to sign up, because the places is very limited!